It's time for another b bar linkup! You can see last month's linkup here, and this month is all about what your hidden talents are. When I first read this prompt, I literally had no idea how to answer. I kept thinking...I have no hidden talents. What are my non-hidden talents? Shouldn't I know these things at my age? Then I realized, even if you can't recognize them, you're already using your hidden talents. They're what makes you different and unique. They're what makes you, you. So, what's my hidden talent you ask? With a little help from my friends, I figured out that I'm extremely adaptable. I'm one of those people that has planning down to a science. Whether its a million errands to run, a to-do list a mile long, or a weekend full of events, I've got a plan for it all. But sometimes, no matter how much planning I do, something doesn't go quite as I intended. Cue the meltdown. Now while I've had my fair share of freak out moments (just ask my family), I do my best to make them not last very long. This, along with learning to go with the flow, is key in grasping what it means to be adaptable. 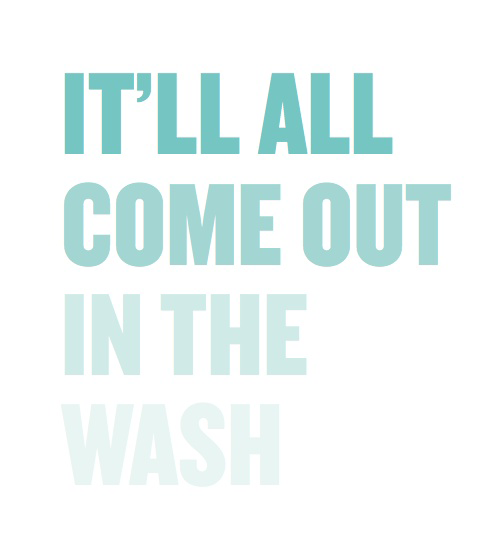 "It'll all come out in the wash." That's one of my Mamaw's favorite sayings, and I find that I probably say it to myself on a daily basis. The more I think about it, the more I realize just how true this little saying is. At the end of the day, if something doesn't quite work out, guess what? That one little thing not working out could bring potential for something even better. Life is what you make it, and having the right mindset might not make everything miraculously better, but I promise it will make it a lot easier on yourself and the people around you. Once you've thought about what your hidden talent might be, the next step is to figure out how to make it work for you even more than it already is. Like I said before, your hidden talents are things that you're already doing on a daily basis, but if you can figure out how to leverage them you'll be one step ahead of the crowd. For me, adaptability is already woven into my daily routine, so my challenge to myself was to figure out how to use this skill professionally. I had never thought of being able to add "adaptable" to a resume, or to list it as one of my traits when I'm talking about myself, but the more I thought about it, the more I realized people want to work with other people who know how to be flexible. Although it's fabulous to know your hidden talents and be able to express them to other people, you really need to be able to tell them why you think that's one of your skills and how you plan on using it on a daily basis to better yourself in whatever setting you're talking about. So, for me, I started thinking about what makes me really adaptable? This led me to think about other skills I use in situations where plans don't alway work out, and I realized that a lot of the skills I need to use to be adaptable are also ones that are extremely helpful in a professional environment. When I'm talking about how adaptable I am, I can also talk about how I use problem solving, time management, and my organizational skills to help fix the problem at hand. Whew! I know this post was a little different than the norm on here, but I hope I've encourage y'all to reflect on your hidden talents and how you can better leverage them to help you in your daily life, career, or even just the things you enjoy doing! So, what are your hidden talents? P.S. go check out all these other fabulous bloggers and their hidden talents!